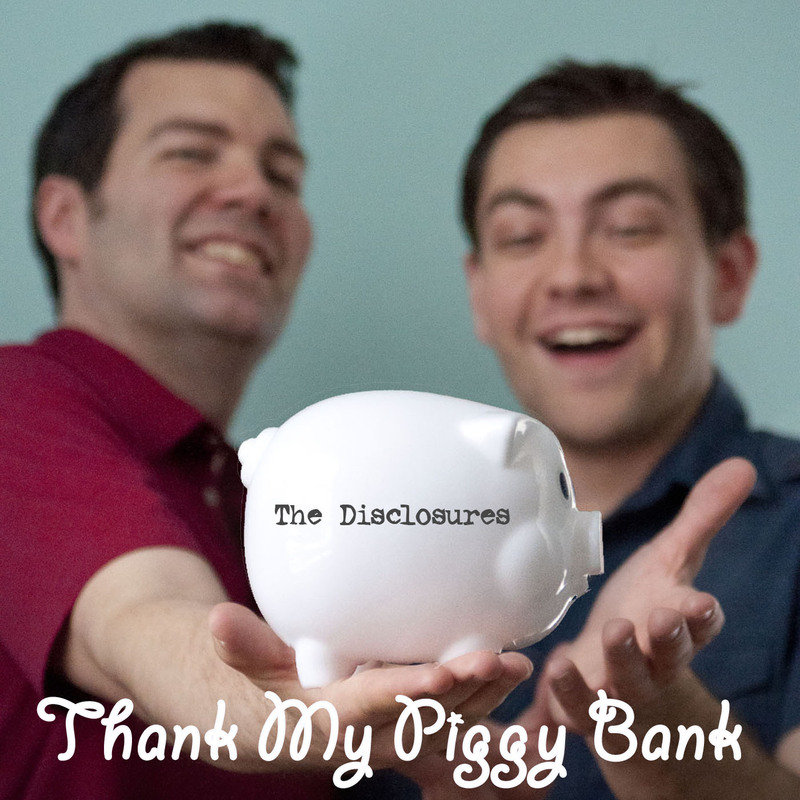 Kicking off National Financial Literacy Month, The Disclosures – the Madison-based “musicians with a mission” – have released a new song and music video for kids called “Thank My Piggy Bank”, which introduces basic concepts of saving. This is the first single from The Disclosures’ forthcoming untitled financial education album for kids due to be released later this year. “Thank My Piggy Bank” is available on most digital music stores including iTunes, Amazon, and CDbaby. The video is available for viewing and embedding on YouTube here. “Our rock song breaks new ground combining music and humor to teach kids important lessons about money, savings and responsible spending,” said Disclosures band member Chad Helminak. Since the release of their first album in 2011 entitled “(Hey, We’re) The Disclosures” – comprised of songs that focus on credit union history and philosophy – Christopher and Chad have presented highly-rated education sessions and music performances to credit unions, chapters, trade associations and vendors across the nation. For their next project, The Disclosures have decided to go in a new direction and address a problem that continues to affect almost all consumers – personal finance. Chad and Christopher work closely with a lot of financial education resources and realize the importance of teaching kids how to responsibly handle their finances. “Thank My Piggy Bank” is the first single from their next album, which they are currently recording. The pop/rock album – due to release in late 2013 – will be entirely focused on youth financial education, the first of its kind. “Thank My Piggy Bank” was written and performed by The Disclosures and mixed and mastered by Morriss Partee/Squirrel Trench Audio. Video was directed by The Disclosures. Song lyrics are available here. Connect with The Disclosures on Facebook to get the latest news about the band and their efforts to raise awareness of the need for youth financial education. About the band: Christopher Morris and Chad Helminak are musicians with a mission based out of Madison, Wisconsin. Outside of their day jobs, they moonlight as the music duo “The Disclosures” and write songs and perform presentations about the importance of financial literacy and social responsibility. To learn more, visit thedisclosuresmusic.com. This entry was posted on April 2, 2013 by Christopher. It was filed under Music News .